Even a casual industry observer will have picked up on the hype that has built around eSports in recent months. Typically, eSports is a space that brings to mind visions of teams in gaudy, sponsorship-draped kits gathered around internally lit, water-cooled gaming PCs doing battle over tens of thousands of dollars of competition money. And yet it is the less talked-about mobile eSports scene that offers perhaps the most accessible gateway to contemporary competitive gaming: for players, audiences and service providers alike. Thanks to the cliché that rightly highlights the smartphone as a 'supercomputer in your pocket', billions are already armed with all they need to throw themselves into eSports. That's likely part of the reason GungHo will soon be bringing its idiosyncratic PvP turn-based strategy game Super Senso to Europe. The vast video game corporation behind Puzzle & Dragons – which stands as the first mobile game ever to make $1 billion in revenue – has partnered with development studio Turbo as it makes a definite move to embrace mobile eSports on a global basis. 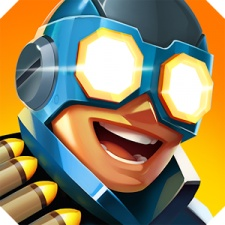 The release comes following the success of the likes of Activision Blizzard's Hearthstone and Super Evil's Vainglory, which stand not just as connected multiplayer titles, but as games that are the focal point of popular, well-watched organised competitive events. "In general, mobile gaming continues to grow at a phenomenal pace and, within this market, the competitive gaming scene is reaching all-new audiences that normally wouldn’t play mobile games," GungHo Online Entertainment America CEO Jun Iwasaki tells PocketGamer.biz. "The eSports scene with all platforms considered is now outpacing traditional sports on a global scale and, in time, the mobile eSports scene will continue to grow alongside it." That growth, Iwasaki and his team believes, will continue for many years. And they are equally confident that mobile will emerge as eSport's lasting driving force. I feel that there’s a large growth potential for the mobile eSports community, given that it’s still in its infancy. "The accessibility of playing games on a phone gives players the immediate satisfaction of playing on the go from any location they prefer," Iwasaki continues. "I feel that there’s a large growth potential for the mobile eSports community, given that it’s still in its infancy. The PC eSports community has been around for many years, but the fact remains that the popularity of eSports continues to grow to new heights." Yohei Ishii, CEO of Brooklyn-based outfit Turbo, adds: "Mobile eSports will progress differently from its PC roots, but there's no doubt that it'll eclipse it in scope. Already you are seeing competitive mobile games in China putting up numbers in the hundreds of millions of dollars on a monthly basis that are eclipsing any other games on any platform period. "Just as in almost any other digital space, mobile has inherent advantages over the chained sit down PC experience; primarily the intimate and always-on connection users have with the game and others in the community. The speed and volume that games can be engaged with and the wealth of content that can be consumed through mobile is on another level." If you want some perspective on that assertion, Ishii suggests remembering a time before smartphones, and considering how much you might have used email and social media in that era. Certainly, when Friends United was forging a primitive template for future social media, few of us checked in more than weekly. Equally, Ishii believes, there is something of a disparity between audiences' increasing appetite for quality and core competitive mobile games, and studios' readiness to move beyond the casual era that so long defined what successful mobile games could be. "In the West, the communities are on the bookends playing Hearthstone or Clash Royale, not leaving much inbetween, other then cash in clones," he offers. "Gamers are hungry for more, and we're ready to feed that craving with Super Senso. We're not a wannabe card battler or a MOBA-light type of game. What we're bringing to the table is a super strategic turn-based action experience unlike anything else out there. One that we think will satiate an expanding gamer palette, both as a player and spectator." We're not a wannabe card battler or a MOBA-light type of game. 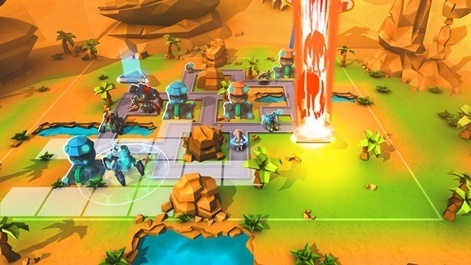 As Super Senso's Western launch nears, it is clear that making games for viewers as well as players is becoming as important in mobile as it now is in PC and console. As such, new conventions are emerging around what works – and what doesn't. Equally, some of the early golden rules of smartphone success still apply. Mobile gamers necessarily prefer shorter gameplay sessions, so Turbo has aimed for five-minute game lengths in Super Senso, reportedly putting four years into shaping its creation. Across that time, Europe remained a key consideration – along with the States. 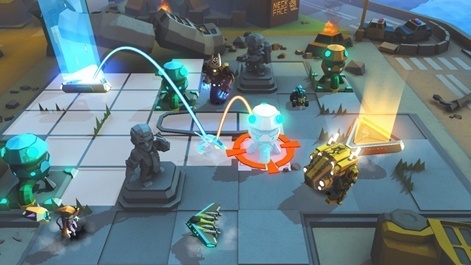 "As a turn-based action strategy game, we believe Super Senso is a perfect fit for the market that typically embraces games in the genre with open arms," explains Iwasaki. "Given that one of GungHo’s major priorities is to bring games to the global market, it was inevitable that we would continue our rollout to Europe. When we were originally evaluating the game for publishing consideration, one of our key questions we needed to assess was if Super Senso would be a fit for a huge audience, such as Europe." European audiences have already demonstrated a love for mobile eSports, and following the success of Super Senso elsewhere, GungHo and Turbo look set to play a role in the sector's growth. Will Freeman is the former editor of trade publication Develop, having also written for the likes of The Guardian and The Observer.